MOSCOW, June 21 (RIA Novosti) – Patriarch Kirill, head of the Russian Orthodox Church, was granted the honorary title of surgery professor on Friday by one of Russia’s leading surgical academies, adding medicine to his already extensive list of formal titles. 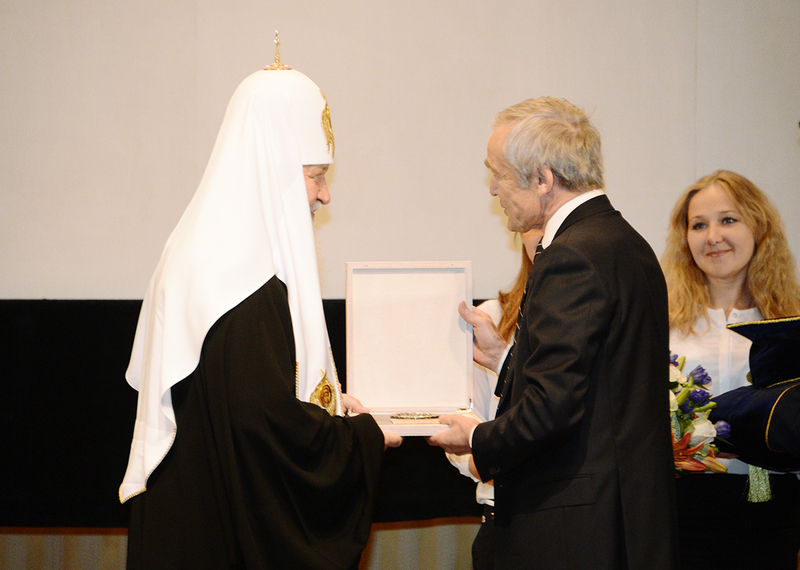 The B.V. Petrovsky Russian National Center of Surgery awarded Patriarch Kirill the title of honorary professor “for spiritual treatment, sacrificial service and preaching Christian morals” during an official ceremony celebrating the center’s 50th anniversary. “Being a doctor is not a profession, it is a calling and high ministry based on mercy, compassion and love of the human being,” Kirill said after accepting the title on Friday. The Moscow-based surgery center is part of Russia’s Medical Academy of Science and carries out a variety of surgery and diagnostics. The title of professor tops Kirill’s prodigious collection of honorary titles, which already includes doctorates and professorships from some 30 schools in Russia and abroad, including the prestigious MEPhI National Research Nuclear University and the Russian Armed Forces’ Military University.